Birthday cakes have been a tradition since the Ancient Romans were around, and celebrating someone’s birth with a delicious pastry seems pretty logical. But have you ever wondered who the first pyromaniac was to light a cake on fire? There are a few theories about the origins of birthday candles. I like the idea that we when blow out candles our prayers and wishes rise to the heavens. Maybe that is why I think birthdays and wishes go so well together. There is something about birthdays that make wishes seem possible. After all, birthdays are like new beginnings; they offer an opportunity to start over, to erase the old and replace it with something new. Pentecost is the birthday of the Church. 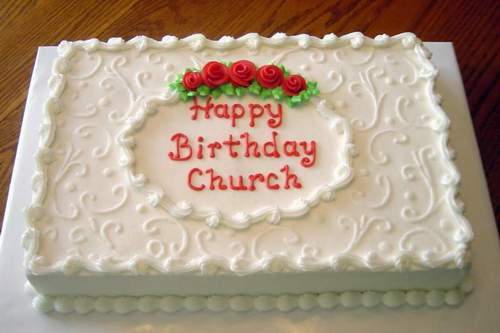 And like with all birthdays, I believe it gives the Church a chance to dream new dreams and cast new visions. For me, Pentecost isn’t about speaking in tongues; it is about making wishes for the Church, it is about being able to dream new dreams. This Sunday we might not have a birthday cake and candles to celebrate the Church’s birthday, but we will have the opportunity to share a wish we have for the Church. I know what my wish is. I wish MoCity1st would allow the Spirit of God to move through it and create something new and fresh. I wish MoCity1st would answer the call to be what God has called her to be…to be that place where thirsty people can come and taste the life-giving water of Jesus Christ. I wish for MoCity1st to be an instrument of God’s peace and of His grace and of His love. Oh yeah, I wish . . .